Lu.Be.C. (Lucca Cultural Heritage) – Lucca (Tuscany) | | Promo P.A. Promo Card: abbonati a PROMO PA! 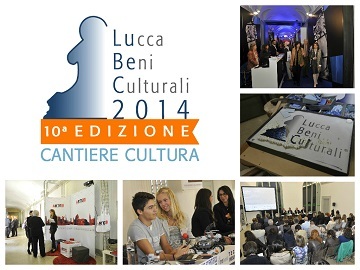 In the frameworkof our 'Annualmeetings and exhibitions', since 2005 Promo PA yearly organizes LuBeC– Lucca Beni Culturali (Lucca Cultural Heritage). Every October, LuBeC becomes a crossroad between heritage, technology and tourism, a meeting point for anyone thinking that creative and cultural industries are a real development engine for ou rcountry and for EU. Il DURC di Promo P.A. ma è possibile utilizzare i contenuti a condizione di citarne la fonte e di non modificare le informazioni stesse e i dati estratti.